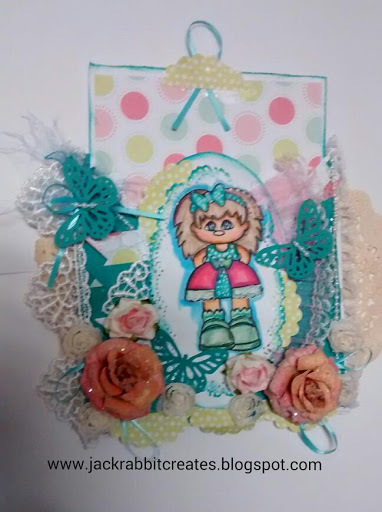 Sherry is adorning a criss cross card. I used copic markers and prisms pencils to color Sherry. Although I'm beginner to copics, I love the way Sherry turned out. 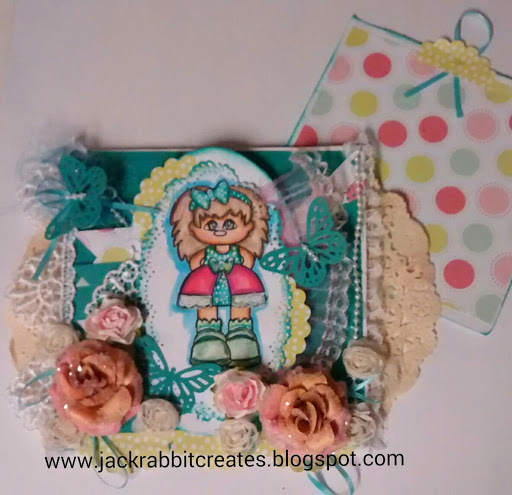 This card is so easy to make but can be so impressive. I took 2 pieces of 6x6 paper. I cut one piece diagonally from corner to corner... So now you have 1 6x6 square and 2 triangle shapes. Now position the diagonal pieces on the square so they Cris cross. Only glue sides and bottom. You need the top open to place your sentiment card. Now decorate... I used laces, handmade roses,ribbon,string pearls and stickles. All die cuts were made with paper punches. Now that you've completed the all the lovely decorations, slide your 5 1/2 inch sentiment card in the top and your ready to make someone's day with this card. Isn't Sherry adorable ! She's absolutely one of my favorites. You are going to love working with her !! Thank you for stopping by today to share my project with me... If you have any questions on this card or how to purchase Sherry #311... just put them in the comments below... I hope Tuesday is being kind... Keep creating. I can see a lot of hard work went into this card.What a good job you did. Lovely card. Thanks for the idea. Happy Birthday to Rachelle. Cute card, Happy Birthday Rachelle!! 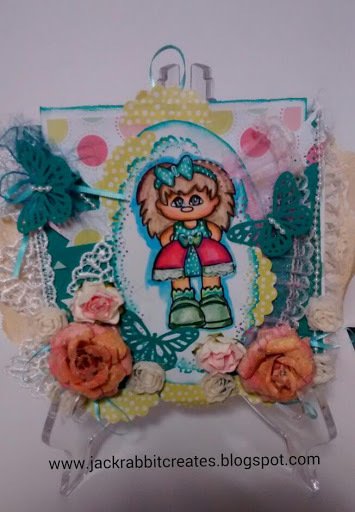 Thank you all for the opportunity to win goodies and love seeing all your creations! 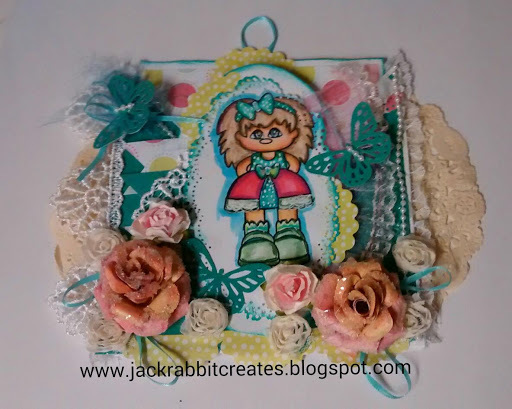 MY 1ST Blog hop!